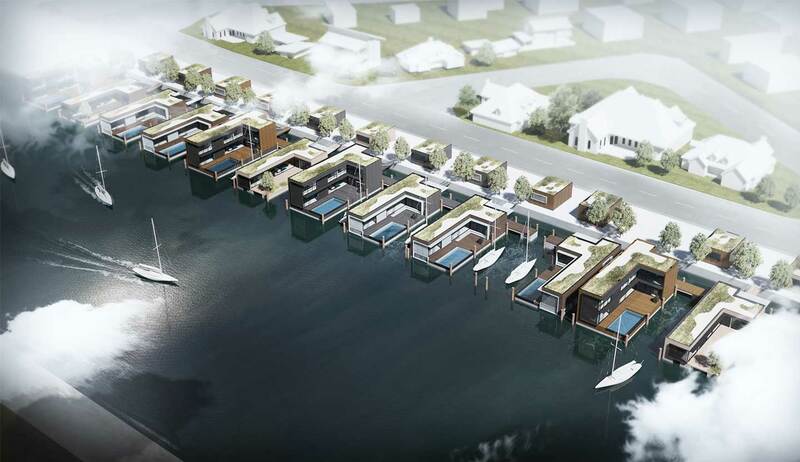 We are excited about the opportunity to develop 12 floating homes in the Whitianga Waterways. 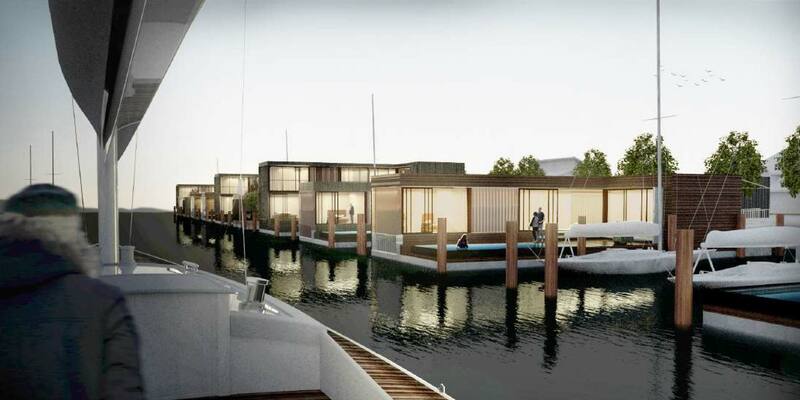 In 2019, Hopper Developments will add a new marine district to their current project: Waterside Sustainable Developments will include 12 floating homes, each with its own 18m berth allowing direct access from your house to your boat. If you envision yourself living in one of our floating homes, please for our mailing list to receive updates and be first in line when the houses are released to market. We are continuously working on our design with the aim of developing the most exciting and cost-efficient solution possible. To download a booklet with the current dimensions and layouts, please fill out the . The booklet is an outline and will be subject to revision. The team at Waterside Developments and W10 are dedicated to sustainable real estate. 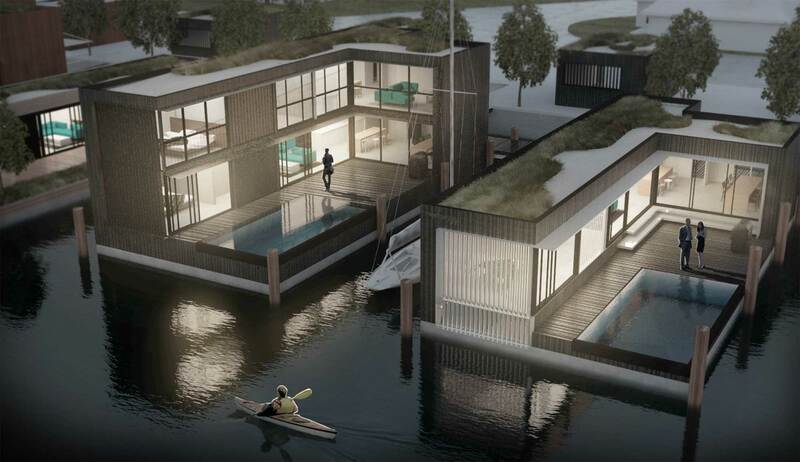 We are currently selecting materials and specifying mechanical systems which will provide viable self-sufficient solutions which take advantage of all the benefits of living in a floating home. The final project will apply for Homestar Certification by New Zealand’s Green Building Council. At our present development stage, we are looking for interested individuals who envisage themselves owning and living in a Whitianga Waterways Floating Home with all the natural wonders of the Coromandel at their doorstep. If interested in the project, you will be offered a chance to purchase one of the floating homes and become part of the development team. As a core team member, you are free to tailor the project to your needs and could even have the planning and building of your home professionally documented by Grand Designs NZ: The show is keen to present the project on next year’s TV series; however, given this short time frame, we would need to get started before September, 2018. If you would like to know more, please contact us ASAP at info@waterside-developments.co.nz.